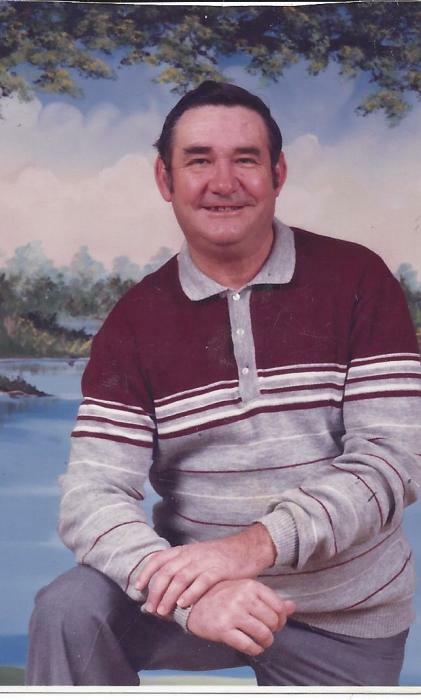 Ray R. Sexton, 83 of Narrows, VA went to be with the Lord on Tuesday, April 9, 2019 at Carilion Giles Community Hospital in Pearisburg. He was a son of the late William Sexton and Thelma Sexton. Besides his parents, he was preceded in death by his wife, Patricia Ann Spicer Sexton of 49 years, one daughter, Debra Spicer, four brothers, Bob, Bill, Tobe and Burlie Sexton. Ray was a retired employee of the Radford Arsenal. He was a one of a kind man, who loved spending time outdoors, hunting, fishing and all sports. Ray also enjoyed spending time with his family and friends. He is survived by three daughters, Sharon Sexton, Rhonda Thornton and Megan Boyce all of Narrows, two granddaughters, Rebecca Noonkester, Debbie Lee Thornton, grandson Braydan Powell, great granddaughter, October Keene, one sister, Virginia Sexton of Pearisburg, special sister-in-law, Rose Lauver, many nieces, nephews, cousins and friends who became family. Funeral services will be conducted Saturday, April 13, 2019 at 1pm at the Riffe-Givens Funeral Chapel in Narrows with the Rev. Bill Brown along with Tommy Gordon officiating with burial following in Fairview Cemetery in Narrows. The family will receive friends at the funeral home Friday evening from 6 – 8 pm. The family requests that those sending memorial contributions, please consider the Pearisburg Church of God of Prophecy. The family is being served by Riffe - Givens Funeral Service in Narrows, (540) 726-2442, and online at riffefuneralservice.com.